Margaret T. (Takatsch) Unger, 101, of Allentown, passed away March 9, 2017. 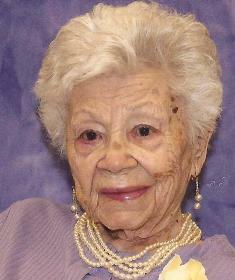 She was the loving wife of the late John L. Unger and previously the late John A. Heidecker. Born in Allentown, she was the daughter of the late Emerich and Theresa (Trinkle) Takatsch. Margaret retired from Penn State Mills. She was a member of Sacred Heart Catholic Church in Allentown. She had volunteered and was an Auxiliary member of Sacred Heart Hospital for many years. Survivors: Children- Barbara Kudla of Coplay, Jack Heidecker and wife Donna of Hazelton, Christopher Unger and wife Michelle of Horsham; 9 Grandchildren; 6 Great Grandchildren. She was predeceased by her siblings- Edward, Emerich, Albert and Frank Takatsch and her son- John Christopher Unger. A viewing will be held Thursday, March 16th, 9-10AM with a service at 10AM in Kohut Funeral Home, Inc 950 N. Front St. Allentown, PA 18102. Burial to follow in Holy Ghost Catholic Cemetery, Bethlehem. In lieu of flowers, donations can be made in Margaret’s memory to the Activity Fund at Cedarbrook Nursing Home c/o the funeral home.